Team Updates: Malawi GAP Team - Completed Clinic House Photos! Congratulations to all the Malawi GAP team who worked extremely hard during their project phase to complete the construction of a clinic house - their efforts have definitely paid off. The lack of facilities for clinic staff has meant good doctors are reluctant to move to the area. The new house will provide much needed accommodation and facilities for doctors and nurses at the clinic, ensuring better quality health care for the local community. Check out the photos below!! Sophie and Amber working hard to put the finishing touches to the house interior. The clinic in Pensulo, built by Quest Overseas last year. And in a break from the building work...Becky sporting Quest Team colours during a netball match with the local school...stylish! 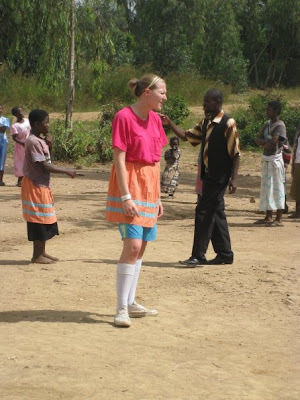 Volunteer on Malawi GAP in 2010 or during the summer!